Well well well, just when you think it’s time to settle down for Apple’s WWDC keynote someone goes ahead and pulls the rug from underneath you. Just when you think you’ve got tomorrow’s announcements all figured out, someone says just enough for a little bit of doubt to creep in. That’s exactly what happened just now, with the news that tomorrow’s WWDC keynote may not pan out quite as we had expected. In fact, according to the oracle called John Gruber, the general expectations may be well wide of the mark. Speaking on the latest episode of his The Talk Show podcast, Gruber said that, somewhat unusually, he hasn’t heard all that much about what Apple will announce tomorrow morning. What he has heard though has been enough for him to think things may not be quite as we expected, especially on the iOS 7 front. Speaking during the show, Gruber said that one of the things he has heard from people in the know is that all the current rumors are wrong, suggesting that we may not see the ultra flat iOS 7 release that has been on the cards for some time. Gruber’s sources also say that the new version of the iPhone and iPad operating system will be ‘polarizing,’ suggesting that not everyone will like what they see when the big unveiling takes place on stage tomorrow. That’s no great surprise to us – if there’s one thing Apple has been of late, it’s polarizing! The one thing I keep hearing over and over again from friends who would know is…the one word I keep hearing is that some of the stuff they’re going to show is "polarizing". All the rumors prior to this had suggested that the iOS 7 re-do will offer something more akin to Windows Phone’s flat interface than the visual aesthetic that has been the hallmark of iOS since the early days. 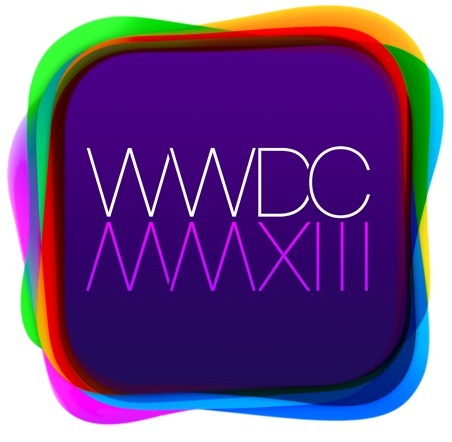 While iOS 7 is undoubtedly going to be a big part of the opening WWDC keynote, this latest revelation now casts doubt over just what it will consist of. What we do know is that some form of iOS update will be shown off during the event, and that a new version of Mac OS X will probably accompany, it along with spec bumped MacBooks. Rumors of an iRadio release or announcement have been gathering pace of late also, though we’d put that further down the list of expected announcements here at Redmond Pie. What Gruber’s comments do is to breathe some life into tomorrow’s keynote following years of leaks almost spoiling the surprise for eager Apple punters. For once, we truly don’t know what will be announced, and that has to be a good thing. Maybe Apple really did double down on secrecy!